Below you will find sample settlements in motor vehicle, premises liability, and medical malpractice lawsuits. You can see more Prince George's County jury verdicts and settlements here. These verdicts were not compiled with scientific methodology. The average of these verdicts is a useless statistic. Still, they may inform your view of the value of your claim as long as you use these as just one piece of evidence to ascertain the value range for your claim in Prince George's County. It also bears repeating that the average settlement value of a personal injury case in Prince George's County is higher than any other jurisdiction in Maryland, except perhaps Baltimore City. Keep this in mind when trying to extrapolate information from these cases. To better understand the value of your claim, you want to talk to an attorney who practices regularly in Prince George's County. We have won millions of dollars for our clients at the settlement table and at trial in P.G. County. If you want to learn more about the value of your Prince George's County claim, call us at 800-553-8082 or get a free no obligation case review online. Miller & Zois has over $20 million in settlements and verdicts in P.G. County alone. 2018, $1,400,000 Verdict. Our client was a woman in her mid-thirties that elected to undergo laparoscopic gastric band removal in Prince George’s County, Maryland. A gastric band is an inflatable weight loss device that tightens around the upper part of the stomach to reduce stomach size and food intake. Our client had the gastric band placed many years ago and elected to have it removed because of gastric reflux, a common side effect of the band. The surgeon removing the band was an experienced surgeon. In order to remove the band laparoscopically, the surgeon chose to use a special device called a “visiport trocar” to entire the abdomen. The “visiport trocar” is an optical trocar with a 1mm blade that fires out from the front to cut through the abdominal wall. The blade fires with the pull of a trigger and then retracts. The trocar is called an “optical trocar” because it has a camera in the middle, allowing the surgeon to visualize the different layers of the abdomen while going through them. While using the “visiport trocar” to enter the abdomen, the surgeon lost his way and was unable to identify the different layers. In response, he withdrew the trocar and removed the camera and bade. He then placed the plastic tube housing the camera and blade back into the patient’s abdomen and pressed to see if it would breathe through. Unfortunately, the surgeon pressed too hard without knowing where he was and the plastic tube suddenly broke through the abdominal wall and struck our client’s aorta near her spine. The force of the impact was so great that it cut the aorta in two different locations, causing hemorrhagic shock and emergency surgery. Miller & Zois tried the case. The lawsuit was brought on behalf of our client’s estate for her medical expenses and pain and suffering. The Defendant denied any allegations of medical malpractice. The jury disagreed. After deliberating for less than one hour, the jury returned a verdict for 1.4 million dollars. So it took the jury less than an hour to find the doctor responsible yet the defendant made an offer of zero. 2018, $295,000 Verdict. A 71-year-old man needed hip replacement surgery. The surgeon allegedly misaligned the new ball joint perforated it through the back of the bone. An x-ray confirmed the misalignment. The plaintiff was required to get a second surgery. Why is the verdict so low? The plaintiff had a full recovery. 2017, $265,000 Verdict. Miller & Zois client with a preexisting back pain gets rear-ended in P.G. County. She has a good recovery but needs five painful epidural injections. The defendant offers $40,000. We file a lawsuit. Two weeks before the trial date, the defendant takes the case seriously and increases their offer to $150,000. A few days later, the case settles for $265,000. 2016: $171,452 Verdict. Plaintiff is driving his motorcycle when an unidentified vehicle attempts to turn left in front of him. The man suffers a fractured right tibia and fibula that requires surgery. He files a claim with his insurance company, State Farm, to recover from his uninsured motorist coverage. State Farm disputes liability and how the accident happened, also alleging the man's injuries did not correlate to how he described the accident. A jury found that an unidentified vehicle was negligent and caused the plaintiff’s injuries, awarding him $171,452. 2016: $89,464 Verdict. A man is traveling in his car and preparing to execute a left turn. Defendant’s vehicle runs through a red traffic signal and strikes the plaintiff’s vehicle. Plaintiff suffers a blunt head injury and injuries to his neck, back, and knee. The defendant disputes the extent of the man’s injuries, but a jury awards the plaintiff $89,464. 2016: $34,848 Verdict. A woman driving her vehicle when she is rear-ended by the defendant, who is uninsured. She suffers a herniated disc in her spine, a knee contusion, a cervical strain, and post-traumatic headaches. She files the claim to recover her uninsured motorist benefits, and her insurance company concedes liability. A jury awards the woman $34,848 in damages. 2015: $130,079 Verdict. A 68-year-old man stops his vehicle. The defendant, traveling behind him, fails to stop his car and rear-ends the man. The man suffers permanent neck injuries and memory loss, a herniated disc, and injuries to his shoulders and head. He files this claim alleging the defendant was negligent in traveling at an excessive rate of speed and failing to maintain control of his vehicle. The defendant argued that the plaintiff caused the accident by coming to a sudden stop, but a jury awarded the plaintiff $130,079. 2015: $100,000 Verdict. A woman is the front seat passenger in a vehicle when the vehicle is rear-ended. The part at fault is uninsured, so the woman seeks to recover from her uninsured motorist policy as she has injuries to her head, neck, back, and shoulders. A judge awarded the woman $24,679.68 for medical expenses and $76,320.32 for non-economic damages. 2015: $79,000 Verdict. Plaintiff is driving a vehicle with two passengers when a vehicle next to him loses control and spins into his lane. The vehicle struck both the vehicle in front of the plaintiff’s and the plaintiff’s car. The three plaintiff’s sustained injuries as a result and filed this claim against the defendant alleging the failure to maintain a reasonable speed and failure to avoid a collision. A judge found that the defendant was negligent and awarded the plaintiff’s a total of $79,000. 2015: $42,381 Verdict. Plaintiff is driving her vehicle on the highway when the defendant merges into her lane and collides with her. She claims permanent injuries due to the defendant’s failure to yield the right of way and negligence. Defendant argues that the plaintiff came into his lane and caused the collision. A jury awarded the plaintiff $42,381. 2013: $928,000 Verdict. Plaintiff is a married mom with four kids. These are good people trying to raise a big family and doing quite a good job at the time of the accident. The defendant is at a light. She looks for her purse for her parking pass and pulled out into traffic when she heard a horn beep. She just pulled out into traffic and started a left turn and never saw our lady. Classic distracted driving case. Crushed ankle. Allstate offered $70,000 pre-suit and $140,000 before trial. The jury awarded $928,000. Miller & Zois handled this case. 2013: $9,000,000 Verdict. A 2-week old girl is brought to the emergency room of Laurel Regional Hospital by her parents. They are concerned because she has been unable to eat and is showing signs of being short of breath. Oxygen is so critical for all of us, of course, but particularly newborns. So she is examined by an ER nurse and physician who decide to order a blood test. After the blood test is conducted the emergency room physician consults with the on-call pediatrician about the infant's symptoms. They decide she is okay to be discharged and advise the parents to follow up with her primary pediatrician. The parents are not notified of any blood test results until almost 30 hours after their child was discharged. The results? Group B streptococcus; a common bacterium infection that, while it can be harmless to adults, can cause severe illness in infants and newborns. By the time this poor child can receive treatment, she has developed meningitis with seizures. Consequently, she suffers from irreparable brain damage resulting in cerebral palsy. Her parents sue, claiming that they were not informed of the blood test results until it was too late to effectively treat their daughter. Plaintiffs claim that instead of immediately contacting them once the physicians received the results, an additional blood culture was ordered to determine the type of bacteria. That delay, they successfully argue, in informing the parents of the results also delayed the necessary treatment and led to brain damage. The defendants deny liability, claiming that the infant received reasonable and appropriate care. The defendant nurse also argues that she had no control over the blood test results, but she did express concern about the treating physician's decision to discharge the infant. The jury disagreed, finding for the plaintiffs and awarded $9,500,000. The award is eventually reduced to $7,150,000 after reduction to the statutory cap for pain and suffering. 2013: $56,466 Verdict. Plaintiff is injured in a car accident and incurs $14,466.48 in medical bills ($8,200 for four months of physical therapy; the remainder is the emergency visit bill). Soft tissue injuries resolve after treatment. State Farm offers $13,333 to settle the case. Jury awards $56,466.48. 2012: $93,390 Verdict. Plaintiff is having motor vehicle difficulties and pulls his car off a residential roadway in Prince George's County to assess the issue. Plaintiff's car is rear-ended by the Defendant driver who claims the Plaintiff is negligent for parking on the side of the road. Plaintiff contends he did nothing wrong, and that the Defendant is at fault. Plaintiff suffers soft tissue, head, lumbar, and shoulder injuries for which he seeks medical and chiropractic treatment. 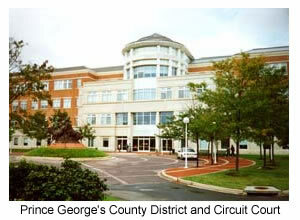 A Prince George's County jury finds for the Plaintiff and awards $93,390 in damages. At Miller & Zois, We have earned millions of dollars for injured victims in PG County. We do it by fighting every single case - your case - like it was our last case. Can we help you? Call 800-553-8082 or get an online consultation. 2012: $1.35 Million Verdict. Plaintiff and his wife are traveling southbound on I-495 when they are rear-ended by the Defendant driver. The force of impact causes the Plaintiff's car to roll into a ditch. Plaintiff's passenger, his wife (who had just retired after thirty-four years from teaching), is pronounced dead shortly after the collision. The Plaintiff is taken to the hospital for treatment, and the Defendant is charged with driving under the influence. Plaintiff contends the Defendant is negligent and reckless for driving drunk. Defendant disputes liability and damages. The jury returns a verdict for the Plaintiff for $1.35 million. 2012: $2.6 Million. 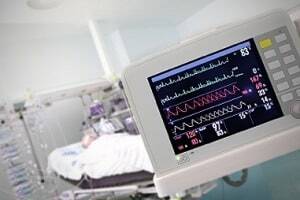 A malpractice lawsuit against an anesthesiologist and a registered nurse anesthetist because they failed to properly monitor the patient's blood pressure during surgery, causing a severe spinal cord injury. Resultant injury to the spinal cord. After a two-week trial, the jury awarded $2.6 million. 2012, $0 Verdict: Plaintiff is driving down Highway 410 while the Defendant driver, who was operating his employer's van, is traveling in the opposite direction toward Plaintiff. The Defendant driver, attempting to turn onto Route 50, collides with the Plaintiff on the passenger side of the van. Plaintiff is taken to the hospital via ambulance, but before she is seen at the first hospital, Plaintiff's friend picks her up and brings her to a different hospital before she was released. Plaintiff argues that the Defendant failed to yield the right of way, but expert testimony at trial reveals Plaintiff was traveling approximately 55 MPH in a 40 MPH zone. Defendant also argues that because the Plaintiff was able to go to a different hospital, her injuries were not as severe as claimed, and that Plaintiff's pre-existing knee problems and clinical obesity were to blame. The jury found for the Defendants and did not award damages. 2012, $106,000 Verdict. Plaintiffs, a husband and wife in their mid-twenties, are injured in an auto accident that occurs in a traffic circle on the University of Maryland campus. The Defendant driver strikes the Plaintiff's vehicle that was being driven by the husband, and the vehicle sustained $7,000.00 in property damage. Plaintiffs contend they both suffered multiple lumbar injuries. Defendant argues that the injuries complained of pre-existed the collision. Specifically, the husband alleges he sustained soft tissue lumbar injuries and aggravation of a pre-existing lumbar disc herniation while the wife claims she suffered a lumbar disc herniation. Defendant also argues that Plaintiffs lost the right-of-way and were speeding while in the traffic circle. The jury awards the husband $35,360.00 in damages and the wife $71,140.00 for medical expenses and pain and suffering. 2011: $1.2 Milion Verdict. Radiologist fails to identify abscesses in man’s legs, causing 20 days without a correct diagnosis. As a result, the man suffered extreme muscle loss and the ability to maintain his energy level, making manual labor virtually impossible. Radiologist’s lawyer argued the real cause was the fact that the man was a diabetic. This is the most common defense tactic there is: blame the injury on something else. A P.G. County did not buy into it, awarding $650,000 in pain and suffering, $450,000 in future lost wages and $100,00 in past lost wages for a total verdict of $1.2 million. Because of our proximity to Prince George's County and that it is great jurisdiction for personal injury plaintiffs who need an open and fair-minded jury, we handle a large number of claims in P.G. County. If you have a tort claim in an accident, product liability, or medical mistake case, call to speak to one of our personal injury attorneys at 800-553-8082 or get a free online consultation.